Andreas Sohmen-Pao is Chairman of BW Group, BW LPG Limited, BW Offshore Limited and the Singapore Maritime Foundation. 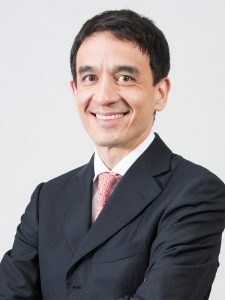 He is also a non-executive director of Singapore National Parks Board and Singapore Symphony Orchestra. Mr Sohmen-Pao was previously CEO of BW Group. He has also served as a non-executive director of The Hongkong and Shanghai Banking Corporation, The London P&I Club, and the Maritime and Port Authority of Singapore amongst others. Mr Sohmen-Pao graduated from Oxford University in England with an honours degree in Oriental Studies. He also holds an MBA from Harvard Business School.